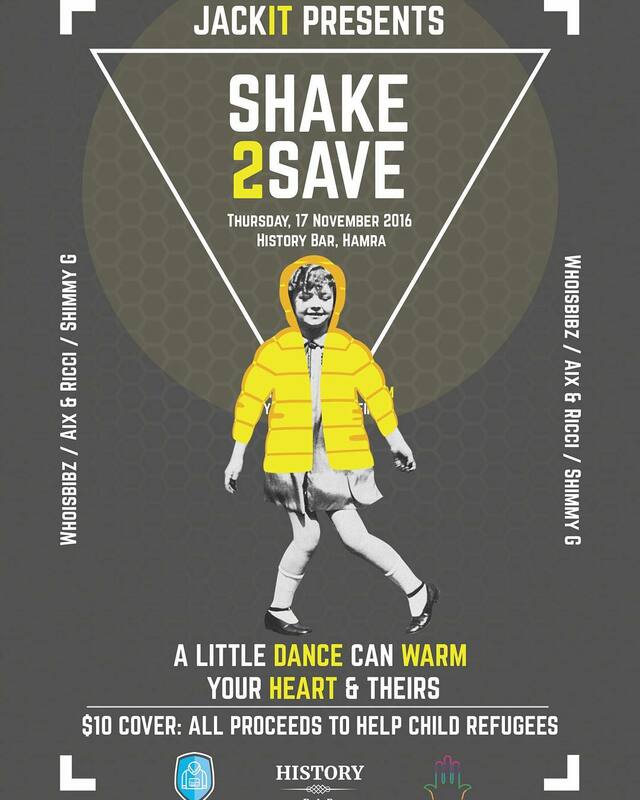 SHAKE 2 SAVE – A little DANCE can WARM your HEART and THEIRS. Join us on the 17th of November at History Bar – Hamra. JACKIT is a fundraising initiative, founded by the House of Healing. Our sole purpose is to raise money to buy jackets, hats and rain boots for children in refugee camps in Lebanon. Cover charge is $10. All of the money goes to the children. © Copyright 2016 by Jackit | Jackit is pending registration as a Charity in the UK.